This book presents a prominent national debate, and discusses points on both the opposing and supporting sides. 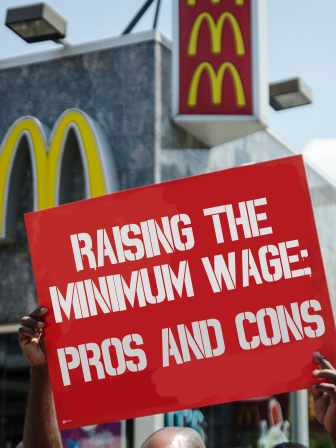 Should we raise minimum wage? After reading this piece, your students can weigh the pros and cons and even have a class debate of their own.